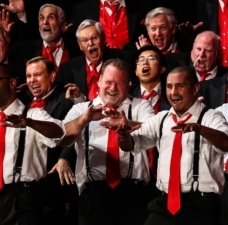 The Barbershop Harmony Society looks like a federation of singing groups, but just below that surface lies its true identity as an adult education organization. Anyone can sing a barbershop-style arrangement and sound pretty good (helloooo Jimmy Fallon). But attaining the peak lock and ring, the dazzle -- that’s an art which, like any worthwhile pursuit, can be mastered through a combination of study, coaching and mentorship. While on the one hand we count in our ranks many professional musicians and teachers, it’s something of a point of pride that most members have careers other than music; yet all of us can find joy along the entire spectrum running from casual singer to world champion. 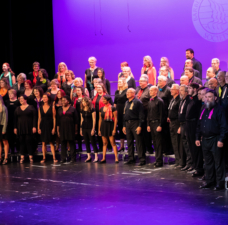 Being an insurance claims adjuster may put bread on the table, but singing together is a vocation, a lifestyle -- something more than simply a hobby. Because of this, we rely on a train-the-trainer model, in which an extensive network of directors, coaches and judges help every singer unlock their potential. The Barbershop Harmony Society supports these through centralized education events like Harmony University, online education videos, music publications and learning tracks, and financial support for directors wishing to extend their education. Learning barbershop usually starts with your home chapter. A solid weekly music program includes not just singing the songs, but understanding how to sing them with quality vocal technique, heartfelt performance, and music artistry. Admittedly, not every music team can deliver in every dimension every week, so to fill that gap, there are powerful resources for personal study and music leadership alike. Come prepared. Know your notes and words -- use those learning tracks. Listen! Reduce side chatter to a minimum. Absorb every minute’s worth of training that you’ve traded an evening to obtain. Be loose, be willing, be open to uncomfortable concepts. Habit’s powerful shackles bind us to old ways. New things feel funny not because they’re wrong, but because they are unfamiliar. Record yourself. Whether for personal study and feedback, or as part of a formal program of instruction and qualification, a pocket recorder or smartphone can help solidify changes in interpretation, vocal technique and note accuracy. Recorder -- any smartphone will do. Water bottle -- stay hydrated not only through rehearsal, but also through the day. Hydration in the hours before singing are even more important. Pencil -- to keep track of the notes from the director. “Wait a minute - why do we need a coach? I thought we had a good director.” You do. And the best directors take advantage of all the brainpower available to them throughout the Society. 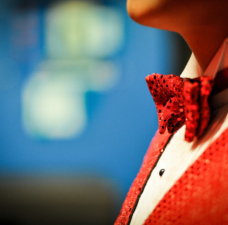 No one director is sole master of all aspects of barbershop singing and performing. A good coach works at least as much with the director as he does with the singers. What’s a new way to extend the current teaching? How can the director guide the chorus consistently, firmly, and positively, to reinforce good practices and eliminate poor ones and do it again, consistently? You can enhance your capacity as part of an ensemble through your personal study of the craft and art of singing. That means engaging your mind (theory, notes, and words), your heart (emotional content and audience connection), body (physical readiness), and voice (full stack of posture, alignment, breath support, and placement). 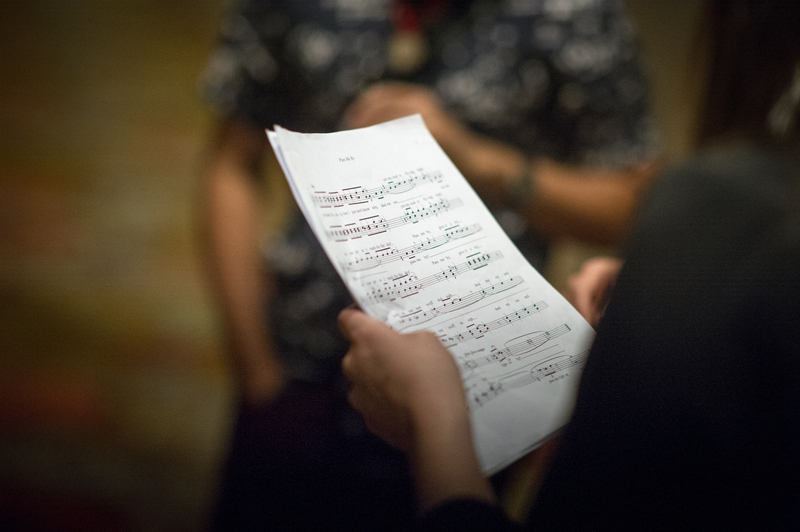 Take advantage of opportunities for private vocal instruction at Society Midwinter and International Conventions, or contract with a local voice teacher. Harmony University Online offers numerous vocal warm-up videos that are great for both private study and use in the chapter meeting. The music leadership of a chapter is the core to its success, but without strategic and administrative support, it’s hard to sustain. 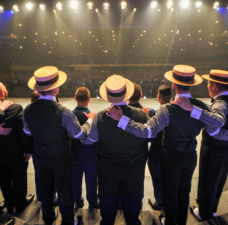 The Barbershop Harmony Society brings a wide array of support by way of the Healthy Chapter Initiative, which marshals leadership resources and training materials to help found new chapters and build the viability of all. See more in the Healthy Chapter Initiative Website. For more than five decades, the Society’s full-service summer education event has covered the entire spectrum of barbershop knowledge arranged in six distinct curricular colleges. Scholarships are offered for hundreds of students, directors, and music educators to further extend the reach of barbershop knowledge. A course track to grow directors of ALL levels, including core classes and electives. From basic conducting skills for first-time or aspiring directors, to advanced training for professional music educators, the school provides powerful tools for the most influential musician in every chapter. 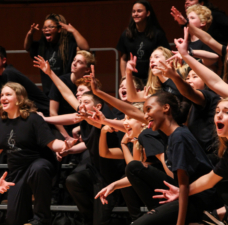 This course track offers music teachers a chance to earn CEUs or Graduate credits, and learn how barbershop can bring more singers to choral programs. 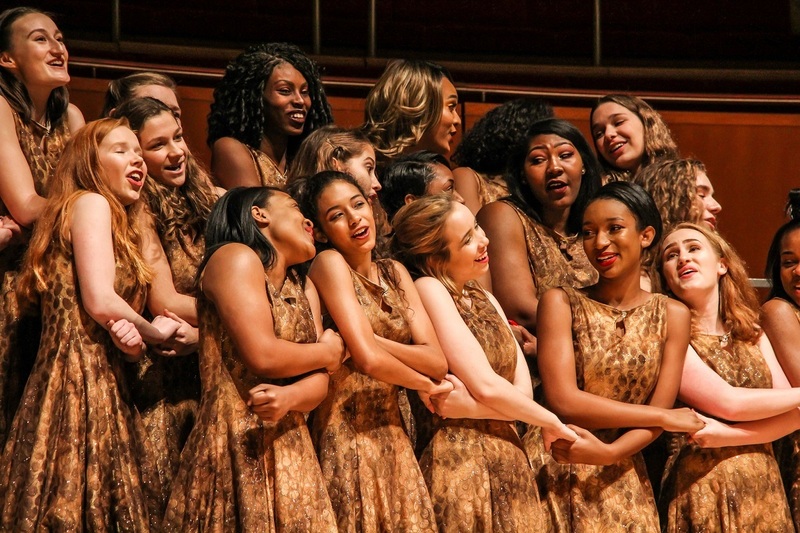 This unique week-long experience offers world-class, intensive daily coaching for quartets and choruses -- a capstone event for many ensembles. Guys 25 and under form a week-long chorus led by superstars, and have a chance to sing with their peers in a high-level musical setting. The keenest strategists in the Society train those who are willing to lead, to plan and execute, and who inspire others to pick up the mantle so that all can continue to sing. 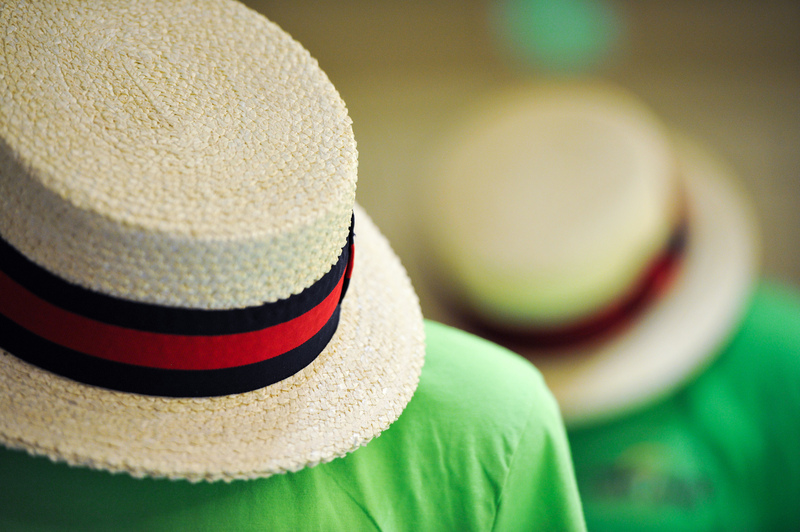 Most of the Districts (regional subdivisions) of the Barbershop Harmony Society host regular education events, mainly weekend events. You can locate education events closer to home on the Districts page.